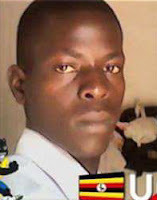 Kabedoopong Piddo Ddibe'st is a young published Ugandan poet; born and raised in Kitgum district, an Acholi by tribe, with very poor educational and family backgrounds. Most of his writings are influenced by the kind of life he experiences or is experienced by the people around him. He has a dream of becoming one of the great writers of all times.